The new skins will unlock next week. Overwatch’s Winter Wonderland event begins next week on Dec. 11. Snow will cover Overwatch’s maps, with heroes bundling up in their holiday best. For Zarya, that’s a cute bear-themed snowboarder’s kit—the first skin revealed in the lead-up to Winter Wonderland 2018. The second skin revealed shows a theme beyond just winter gear: Blizzard’s capitalizing on the winter animal. The new skin is a legendary-ranked outfit that’s very futuristic. 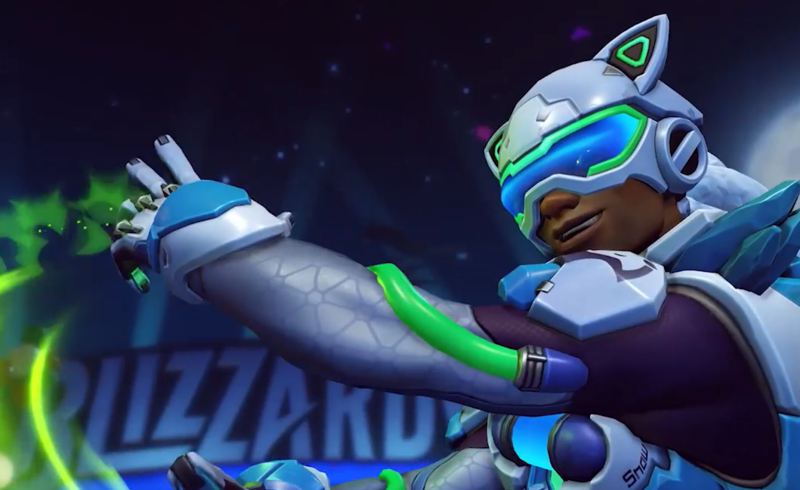 Donning a new mask and trading in his pony tail for a fox tail, Lúcio’s new look is a major upgrade from his previous winter reskin. Winter Wonderland will return on Dec. 11 and continue until Jan. 2. Blizzard will bring back previous years’ brawls, like Mei’s Snowball Offensive and Yeti Hunt. We’re not expecting any new playable elements—at best, we’ll get a slight adjustment to the already-debuted ones from years past. Skins from the past two years will also return, unlockable at a discounted price. Blizzard World is the next Overwatch map to get covered in snow and presents, like Hanamura and King’s Row before it. It’s the little details of the seasonal maps—like the skins—that make the events special. It’s all too easy to ignore when you’re in the middle of an intense map, so make sure to take a little time to cover the holiday elements added to the map for the month. Skin reveals will continue right up until the Winter Wonderland debut on Dec. 11.